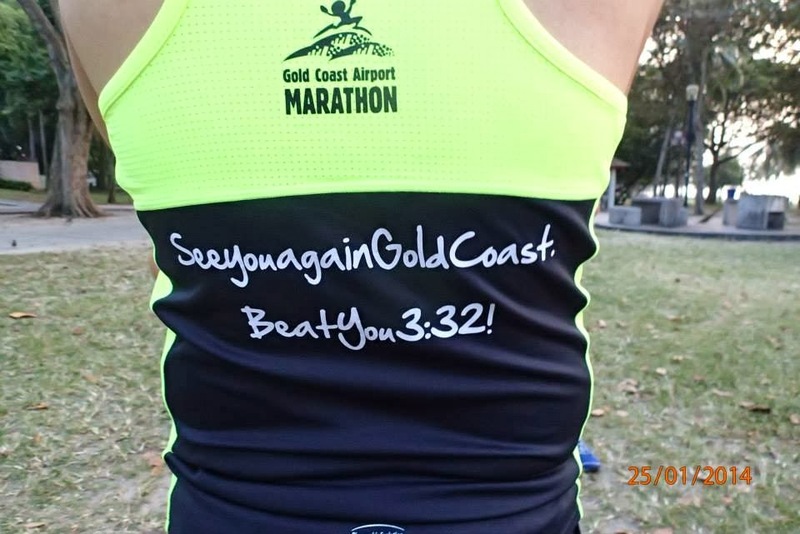 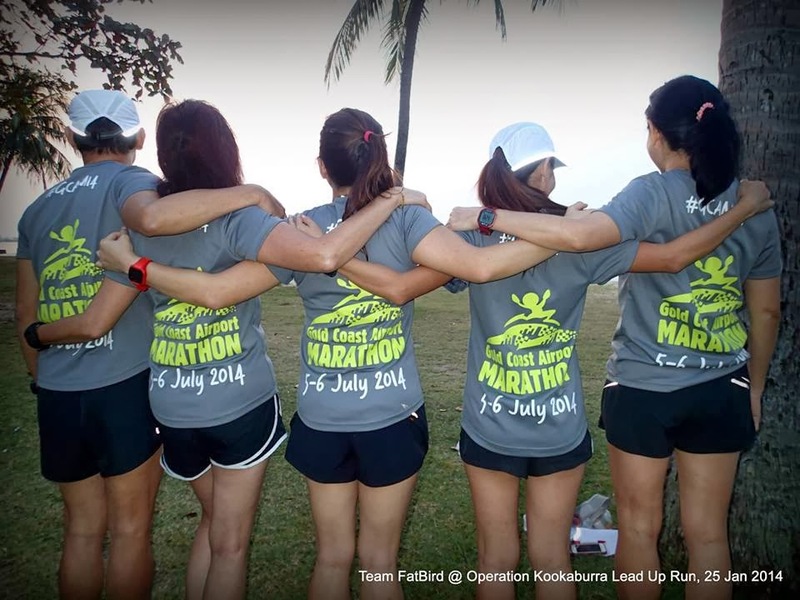 A lead up run for the Gold Coast Airport Marathon (GCAM) 2014 was conducted for marathoners who have signed up for the Run Gold Coast Package as well as those who were keen to find out more about arrangements and preparations for GCAM. 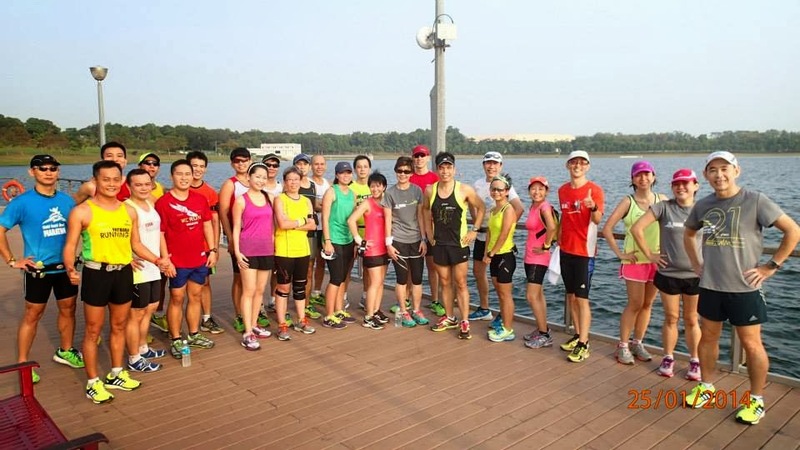 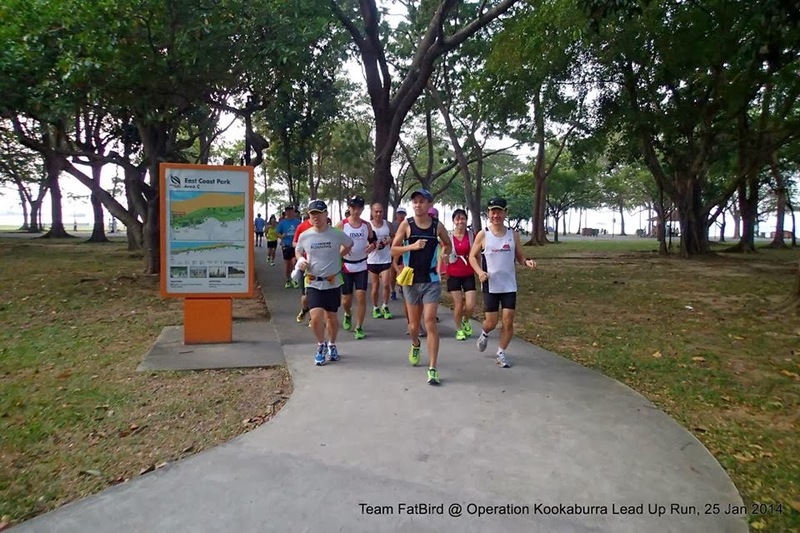 Although we started from ECP, the eventual 15km route took the flock of Kookaburras through the serene Park Connectors, along the quiet Bedok neighborhood, into Bedok Town Park before reaching Bedok Reservoir Park for some great views of the Reservoir expanse. 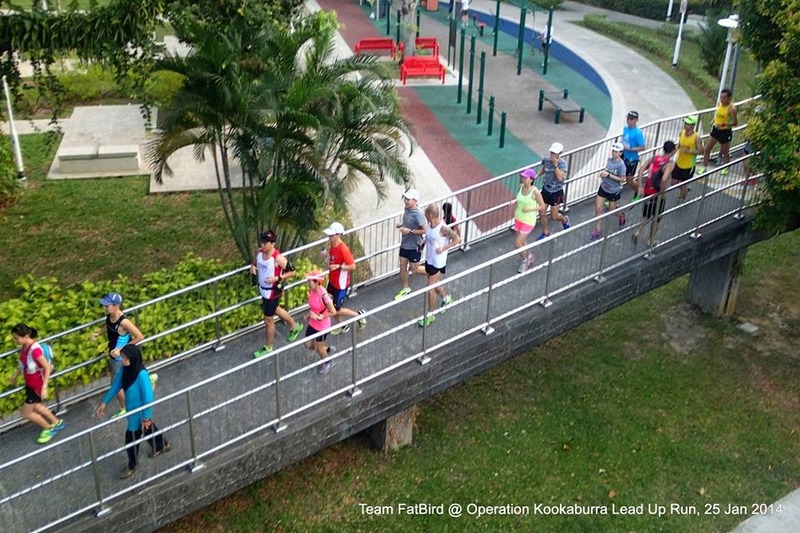 We had good conversations getting to know GCAM-bound participants and answering questions about GCAM and Kookaburra’s 12-week marathon training program. 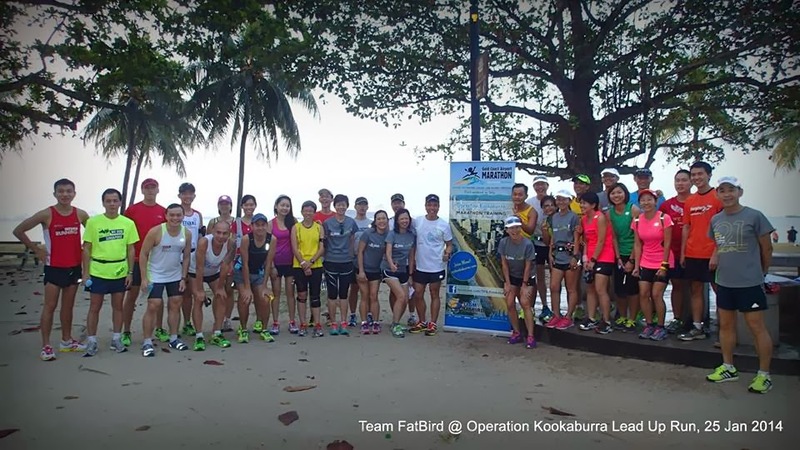 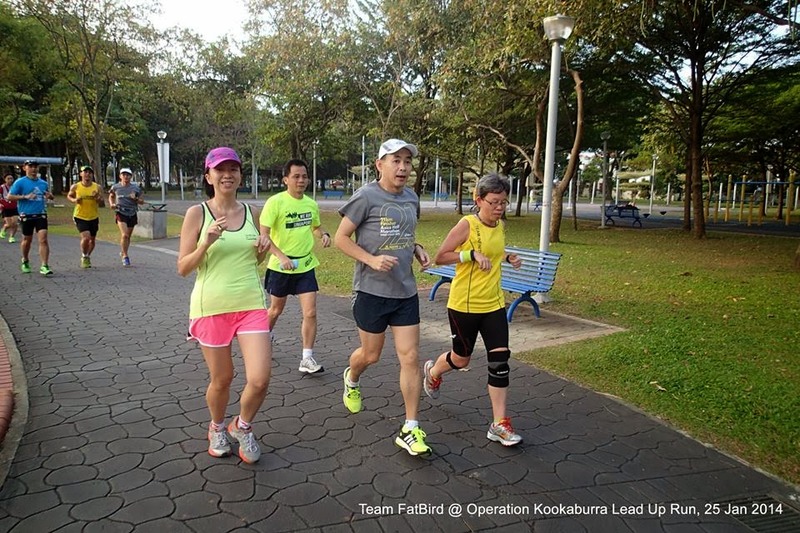 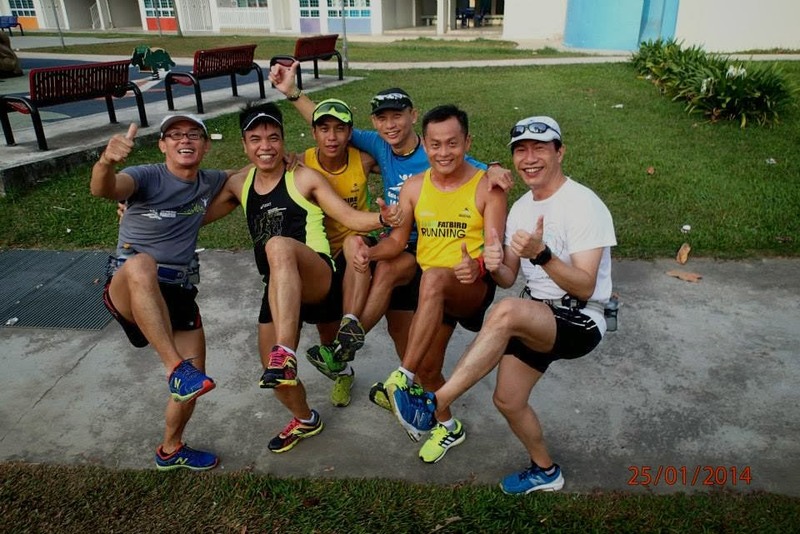 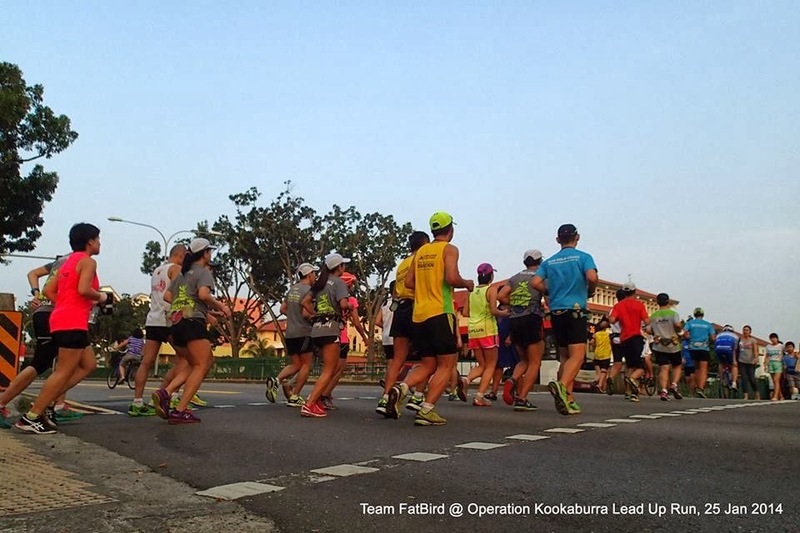 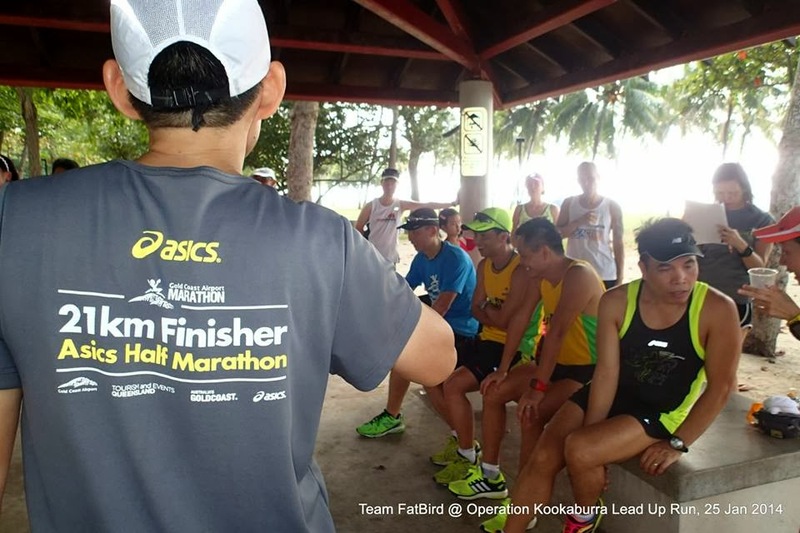 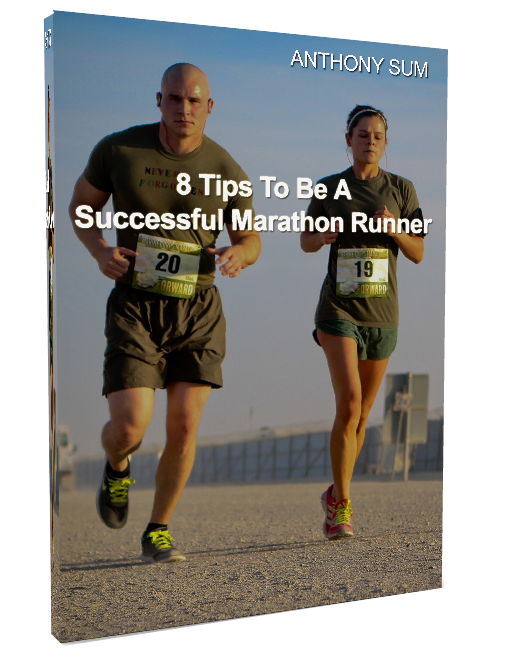 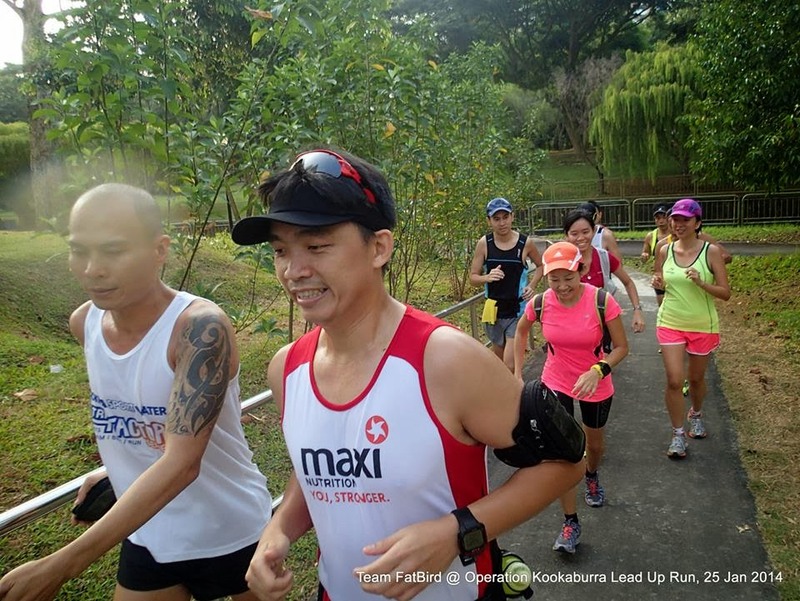 A number of runners and trainers from Team FatBird who had been to GCAM were on hand to share their experiences and offer advise on what to expect and prepare for this cool-climate marathon, so conducive for achieving Personal Bests and Boston Qualifiers. 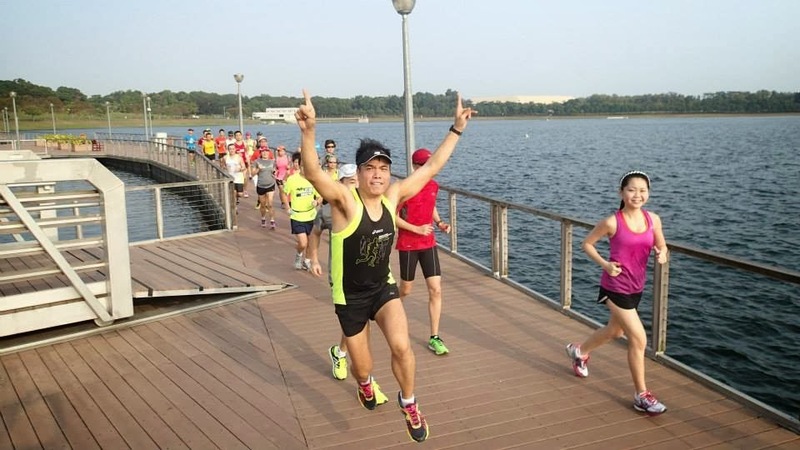 The cool weather offered a glimpse of what to expect in terms of having better performance in cool-weather marathoning – most of the Lead Up participants were able to maintain a good pace and form throughout the whole run to enjoy the scenic route on a Saturday morning. 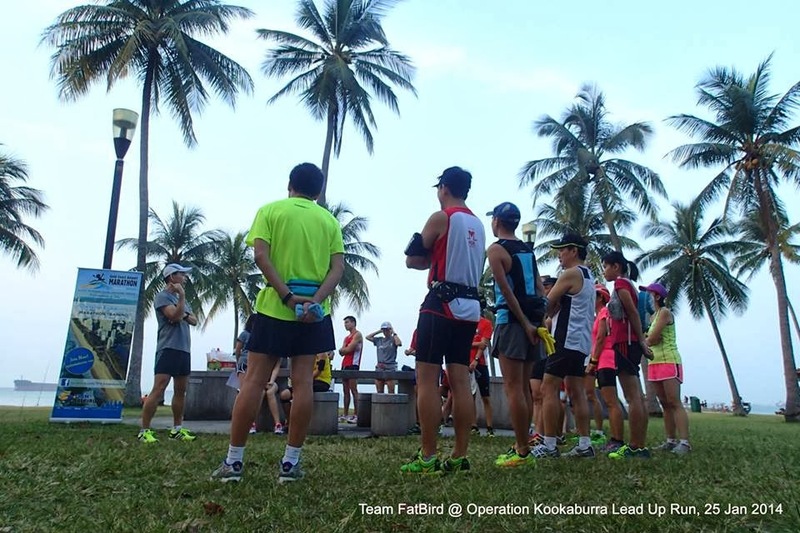 We completed the whole run by 9:30am with a mini Q&A session over post-run drinks and bananas. 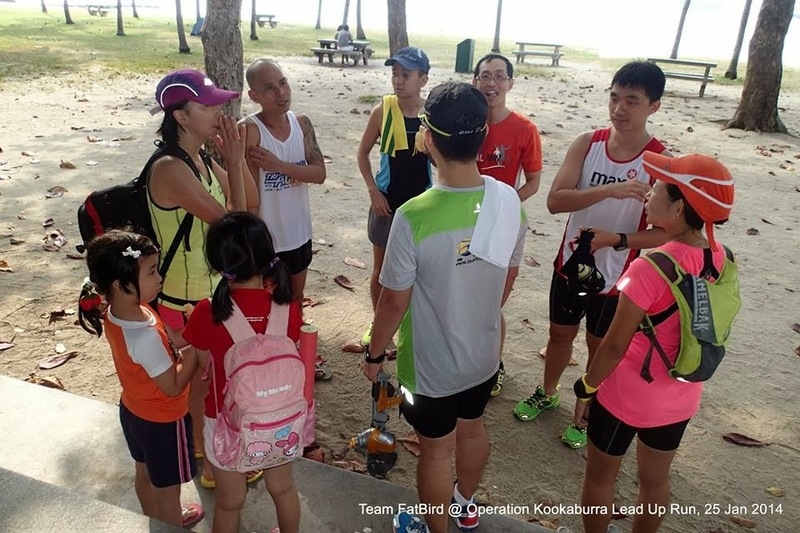 Many of the runners continued to stay on to discuss plans and readiness for Ops Kookuburra training, starting in mid April. 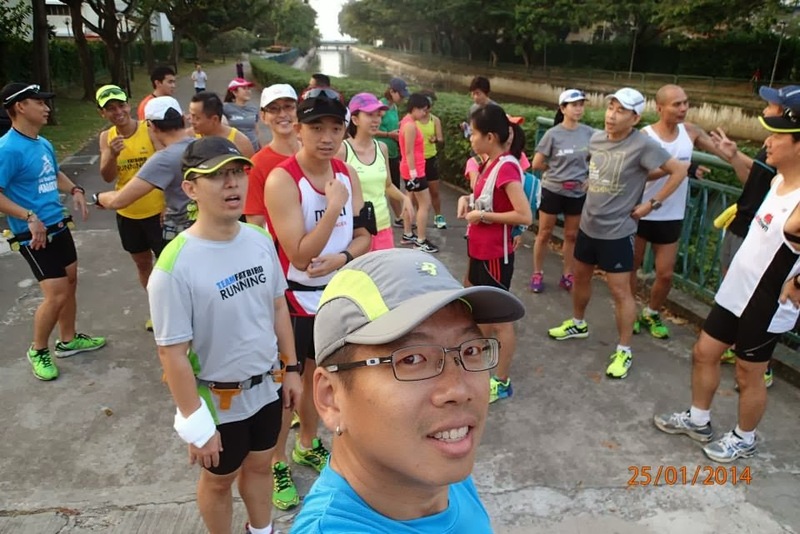 Overall, a great Saturday morning well spent with an enjoyable run and sharing information about marathon training and achieving personal bests at the GCAM.